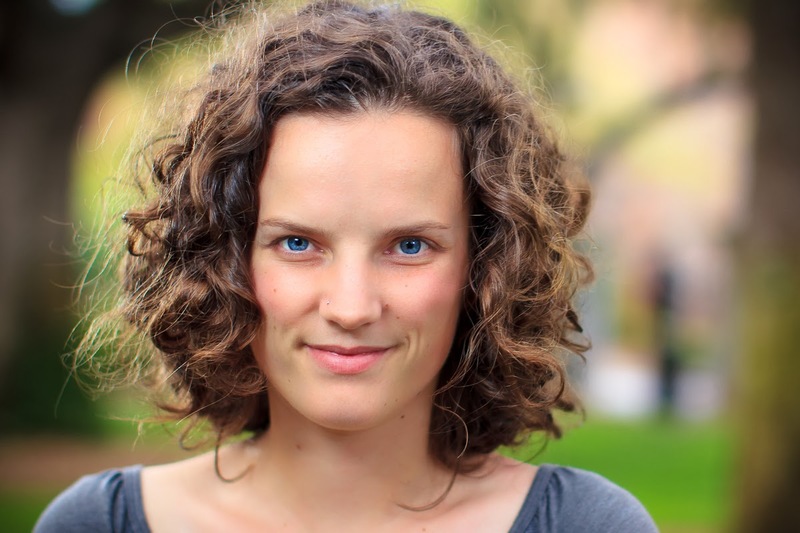 Two Chicks On Books: Blog Tour- ALL THAT GLOWS by Ryan Graudin and a Giveaway!!! 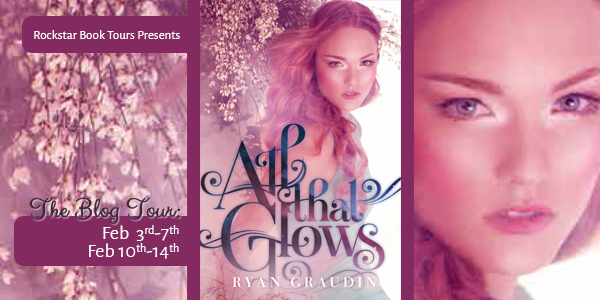 Blog Tour- ALL THAT GLOWS by Ryan Graudin and a Giveaway!!! I am so excited to have Ryan Graudin here with a deleted scene from ALL THAT GLOWS! I loved this book about faeries in modern London! Make sure to enter the giveaway below for a copy of the book and an delicious custom tin of tea! Haven't heard of ALL THAT GLOWS? Check it out! This prologue was the very, very first thing I wrote of ALL THAT GLOWS! It was a snowy morning in January of 2010 and I was giving my students a standardized test. While they scratched away their answers I wrote this down in my tiny idea book that I carried around with me everywhere (see pics)! I ended up cutting this out pretty early in the drafts and it doesn’t really fit with the novel any more, but I still hold a special fondness for it. We came from the earth—children of dirt, soil and dust. Our magic is much older than our flesh, which melts and waxes in whichever way we choose. It runs deeper than blood, fiber and bone. It’s a part of us, threaded into our souls in a vital seam. You cannot tear away the magic without damaging the spirit. We are one and the same. Before the men arrived, with their sails and smoke, we were spirits, roaming the land as animals and essences. When their hulls plowed into the sand of east shore we lingered in the forest, watching their strange pale bodies as they struggled against the land. It wasn’t long before we mimicked their forms, becoming more perfect imitations of the creatures we glimpsed before us. Our beauty, our magic, terrified and intoxicated them. We grew giddy on their worship, drinking in their lust and awe. Our reign over man’s superstitions and dreams lasted for many sweet centuries. The world of men and Fae were one and the same. We lived and thrived side by side. The only difference was that they died. Machines came like an illness. It was slow at first—creeping across the land like an elusive morning fog. We paid little attention to the consequences of the mortals’ metal and steam. Once the realization descended, it was too late. The oldest among us fell sick first. Those whose memories reached back into time’s ancient secrets began to forget. Their magic faltered and they found they could no longer live as they always had. Then came the lights and the raw burn of electricity. The air ached and throbbed with its current. We felt its corrosion in ourselves. They built tunnels under the earth, plowing their way through our underground kingdom. But the young Fae, we were malleable. Our spirits bent to the changes the machines brought. Like everything else, our magic adapted. It was no longer our world, and our magic was weak, but we survived. We had to. I am Emrys and this is my tale. Thanks Ryan! That was awesome I love prologues! 2 signed copies OF ALL THAT GLOWS and two tins of tea! US/Canada only. Congrats to Ryan. Loved her book. This book sounds magical and the deleted scene seems so good. I'm sure I would love this book! I have seen this book all over Twitter!!!! Congrats on the book and thanks for the giveaway. All That Glows sounds like an amazing read and the cover is beautiful! AH! Deleted scene! I totally am SO psyched for this one. I can't wait to read this book - it sounds amazing!! Omg! This book sounds amazing, and the reviews are great too.